Hotel Felix, Cambridge's first contemporary hotel, offers stylish, luxurious accommodation and award winning, critically acclaimed food. A striking combination of traditional Victorian architecture and modern, twenty-first century additions, Hotel Felix stands in spacious surroundings with a large terrace for al fresco dining and drinks and a beautiful gazebo, perfect for afternoon tea, civil ceremonies or even a private dinner. Overlooking the terrace and garden, Graffiti, the restaurant, open to both residents and non-residents, offers modern cuisine with a Mediterranean twist. 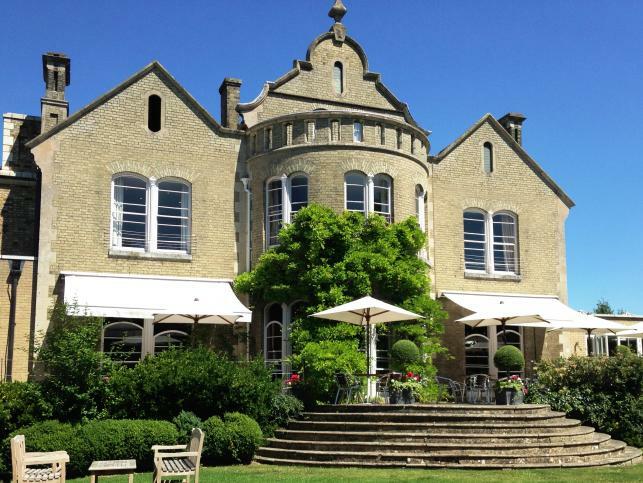 Situated in spacious grounds close to the centre of Cambridge, Hotel Felix is a great conference and meeting venue. Just over a mile from the hub of Cambridge City centre, close to several Business Parks with easy access to the M11 and A14 North, Hotel Felix has ample, free parking. Hotel Felix is the perfect location for conferences and meetings. Three spacious yet personal reception rooms overlook the gardens on the first floor. They can be used as one large room for meetings and presentations for up to sixty delegates. A full range of equipment, from flipcharts to laptops, is available by request. The rooms have everything you need for a productive meeting and can be adapted for a small boardroom meeting through to a full product launch.